Polish Cake Recipe - Pani Walewska - Let the Baking Begin! This Polish Cake is a combination of soft shortbread cake layers, tart jam, crunchy meringue and roasted walnuts that will have you fall in love with this meringue cake forever. But, if that alone doesn’t, the thick layer of creamy custard in the middle sure will. Cold, out of the fridge, with a hot cup of coffee this Blitz Torte – type cake is a dream! 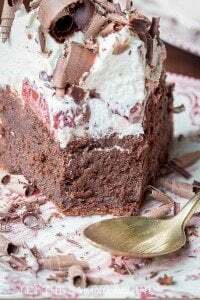 I created this delicious cake as a play on the Polish Pani Walewska cake, a polish dessert that has smitten my whole family ever since the first time we tried it. 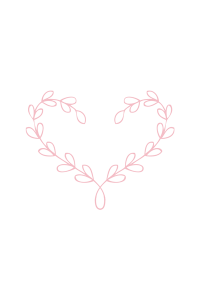 The multiple times that I have made it, with small tweaks each time to perfect it I was getting such rave reviews I knew I had to share it here on the blog. This Polish Cake is named after a beautiful noblewoman who gave birth to the Napoleon Bonaparte, or so the story claims. The original Pani Walewska cake is made with all the same things you see in my cake, but with currant jam and almond flakes instead of walnuts. The black currant jam is a bit hard to find in the stores around here, so I replaced it with tart plum jam. If plum butter or currant jam is something that’s hard to find where you live, feel free to replace it with tart cherries, raspberries or any other tart jam, or berry. If you’ve never had any cake like this, but are looking for some reference, this cake closely resembles the German Blitz Torte, which is made almost identically, but without any jams or berries. If you have made my Plum Butter Pirog (tart base, plum butter, walnuts, and meringue) then you already know how to make this cake half way. Each cake layer is basically a mini Plum Butter Pirog, which is then sandwiched with a modified Napoleon Cake custard. The crunchy, the tart, sweet and creamy come together so well in this cake. 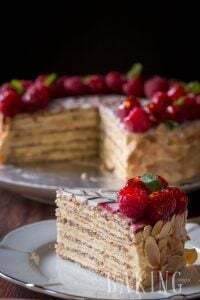 Try this Polish Cake, you’ll love it! 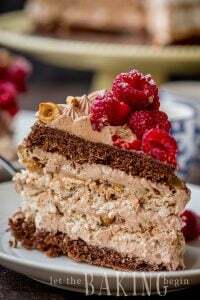 Ferrero Rocher Cake – Hazelnut Cake with Nutella flavored buttercream. 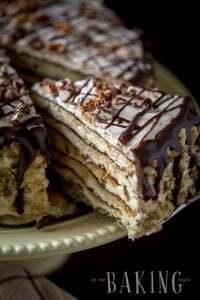 Best Napoleon Cake – this one is our family’s favorite! 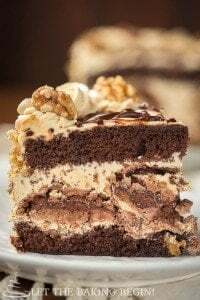 This Polish Cake is a combination of soft shortbread cake layers, tart jam, crunchy meringue, roasted walnuts and sandwiched with buttercream custard. Preheat oven to 350F with the baking rack in the middle. Line the baking sheets with parchment paper. Gather all the ingredients needed for the cake. In a bowl of a mixer fitted with a whip attachment combine the egg whites, sugar and salt. Whip for about 15-20 minutes or until very shiny, and stiff peaks form when the whisk is lifted up from the meringue. Transfer to a piping bag fitted with a large round tip. Or just use a gallon sized ziplock with a snipped end. Alternatively, you can just spoon the meringue. Make the dough: Combine the egg yolks, sugar, salt, and vanilla in a large bowl and whisk until smooth. Add sour cream and smooth with a whisk again. Next, add the butter and whisk until combined. Now add the flour, baking soda, and baking powder and mix until dough forms. Divide the dough into 2 or three. Assemble the cake layers: Line a 10 inch round springform or baking pan with aluminum foil or parchment paper (for easier removal and cleanup). Spread 1 piece of dough per pan, into an even layer. Next, divide and spread the plum butter between the two pans. Pipe or spoon half the meringue on top, staying 1/3 inch away from the borders of the cake pan (the meringue will expand while baking). Sprinkle with half the walnuts. Bake the prepared cake layers for about 40 minutes. Check the oven at about 25-30 minutes to see if the meringue is browning too quickly if it is, tent the baking pans with a flat piece of parchment paper and continue baking for another 15 minutes. Remove from the oven, allow to cool in the pan for about 10 minutes, then remove the cake layers with the removable bottom and allow to cool completely. Be gentle as the cake layers are very fragile and crack easy. Heat the milk in the microwave or in a medium saucepan until boiling. Mix egg yolks, sugar, flour and a couple tablespoons of milk in a bowl until smooth. Add hot milk into the egg yolk mixture 1/2 a cup at a time, while whisking continuously. Pour the mixture back into the sauce pot and bring to a boil, over medium heat, stirring constantly. Cook 2-3 minutes past boiling. Remove from heat and put through a fine-mesh sieve to remove any clumps. Add vanilla and stir. Allow the custard to completely cool - to speed up this process, spread the custard in a large, rimmed baking sheet and cover with plastic wrap, touching the custard. In a mixer bowl whip 4 oz of butter until fluffy and pale in color. Add the custard in 3-4 additions, whipping after each. Transfer the custard to a piping bag fitted with a large round tip. Refrigerate until ready to use. Combine the boiling milk with chocolate chips. Allow to sit for 1 minute. Stir until smooth. Set aside. Put a dab of frosting onto the serving platter or board. Carefully slide the first cake layer off the bottom of the springform on top and press to adhere. Pipe the Custard filling in dollops all over the top of the cake, staying about 1/3 inch away from the borders of the cake. Top with the second cake layer. Sprinkle the berries on top. Refrigerate the cake for at least 8 hours for the cake to be stable. Prep: Turn the oven to 350F, line the baking sheets, get all of your ingredients out. Make the meringue (whips for about 15 minutes). If not using a stand mixer, reverse steps 2 and 3, making the dough first and the meringue second. Use this time to make the dough for the cake (I do this with a whisk, by hand, without a mixer to save time). Assemble cake layers for baking - (the dough, plum butter, meringue, and walnuts in a baking sheet) and bake for 40 minutes. Then allow cooling. Meanwhile, make the custard. Transfer the cooked custard into a flat, large baking sheet, cover with shrink wrap and allow to cool. Combine with whipped butter and transfer to a piping bag with a round piping tip. Right before assembling the cake, make the chocolate ganache. Assemble the cake. If making a 3 layer cake, this is best done in a cake ring lined with an acetate strip. Refrigerate for at least 12 hours for best results. Pictured cake was cut into 4 hours after assembly, so it could've been more stable. one 12in x 16in baking sheet, then divided in half, for two cake layers.